Eat to perform, not just to survive: Think before you drink this summer!! Do you want to meet up for a coffee? This is the most common question asked by your friends or colleagues. Be it a get-together, a business meet or a just unwinding all by yourself, cafes or coffee shops are the most preferred and convenient option these days. But do we really think about what we drink? For regular café goers, it’s a thought to ponder upon. Apart from coffee there are many more amazing drinks which are healthy, readily available or even easy to prepare at home to give you your share of coolness in the summer heat. So lets get started to know more about different kind of drinks, their health benefits and where they stand on a scale of 10. 1. Fruits smoothie: It’s rich, creamy texture makes it the chosen one for the season. Smoothies are made of yogurt and fruits which is a great combination of carbohydrates and proteins. You get a variety of smoothies in restaurants/ coffee shops from which you can choose but if you opt to make them at home, you can add different fruits like strawberries, mango, banana etc. depending on what you like. Make sure to use low fat curds or minimal sugar to add on to its health value. 2. Coconut water: the best thing about this most refreshing drink is that it is easily available anywhere and everywhere. It is low in calories and sodium and has a good amount of potassium which in all helps you reduce water retention, blood pressure and keeps you well hydrated. It is a light cooling drink on a hot sunny day. 3. Buttermilk: is a sour and tangy typical Indian beverage that refreshes you instantly. Since it is made of milk, it has good amount of calcium and protein. It also has live bacteria(probiotics) which help to fight the unhealthy bacteria in your digestive tract thereby lowering your risk of cancer and other digestive issues. Buttermilk is better tolerated by lactose intolerant as the lactose in the milk is broken down by the lactic acid bacteria during the fermentation process. You can make it more healthy and tasty by adding mint leaves, jeers powder, chaat masala. So add some ice into and enjoy the chilled yummy drink. 4. Cranberry juice: you may get this in diluted form or combined with some other juices like kiwi or litchi. Cranberry juice is used as a natural treatment for urinary tract infections preventing kidney stones as well. It is an excellent source of vitamin C and magnesium which prevents tooth decay, gum problems. It is a superior source of antioxidants like polyphenols, flavonoids, anthocyanins which prevent cancer, heart problems and boost the immune system. The only thing to be cautious is that the ready juice may contain added sugar which can affect your weight management process. Try to choose a drink without sugar and minimum preservatives. 5. Fruit juices: these are available at every nook and corner as well as easy to make at home. You can combine a variety of fruits to make a cocktail juice or just pick one of your favorite fruits and juice it up. They are a form of simple sugar and give you instant energy on a hot sunny day. When you order a juice anywhere, avoid the extra sugar addition in it and when you juice it at home, make sure you drink it within 5 minutes to prevent nutrient loss. As you know juices are minus the fiber avoid overindulgence in them. 6. Green tea: we are well aware of the infinite brands of green teas being sold in the market. You have different flavors like jasmine, chamomile, tulsi, ginger lemon, blackcurrant, cinnamon apple and many more. You also have slimming teas, relaxing teas etc. You can choose any flavor you please. They just need a dip in warm water and they are ready to drink. They are also served in cafes these days. 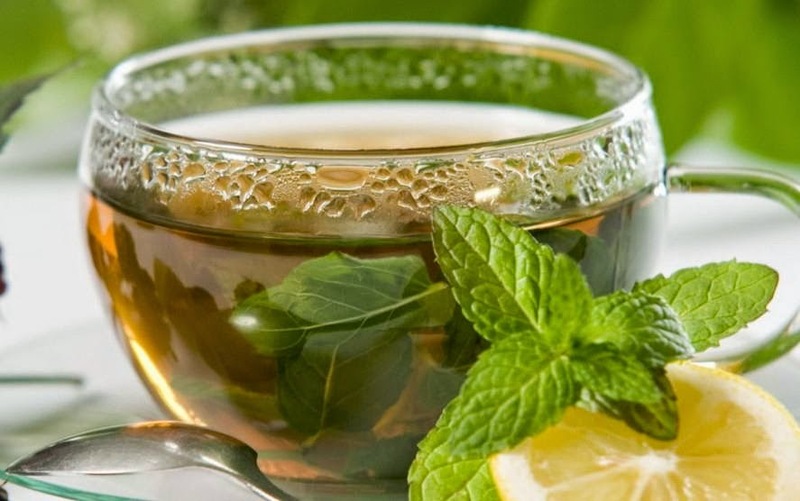 Green tea has many benefits due to its antioxidants like reducing blood sugar, bad cholesterol, blood pressure, improving digestion, immunity and overall well being. 7. Flavored milk: again here you have many options and brands to choose from. You have all sort of flavors available in food stores like strawberry, chocolate, kesar pista, elaichi, rose etc. They are generally made of whole fat milk hence not suitable for people with weight issues. You can pick and choose your favorite one. They are high in protein, calcium and also have added vitamins and minerals. 8. Iced tea: you can find a vast variety of it. They are healthy and have a small caffeine content which improves concentration and alertness. They are chilled and tasty. Like green tea, iced tea also contains antioxidants which prevent health problems. Adding a few basil leaves can add even more value to it. Avoid adding sugar to make it a complete health drink. 9. Cold Coffee: the most famous drink in the world. Coffee is loved by one and all. Cold coffee on a scorching day is all one can wish for. Coffee has caffeine which can improve concentration but in excess it can lead to dehydration, loss of bone calcium and lack of sleep. Opt for low fat milk and low sugar content. Coffee addiction can be difficult to overcome. Try to limit your coffee intake and opt for other healthier drinks. 1. Flavored water: least we could imagine was drinking water with fruit flavor. But this is the new trend and we have a couple of brands promoting flavored water with added vitamins and minerals. It is a great option for people who do not like to drink plain water. But one must not forget that this water does contain sugar which can cause weight gain. It is also not suitable for diabetics and obese individuals. Choosing flavored water occasionally is alright but avoid over depending on it for your thirsty moments. Enjoy your summer with some healthy drinks and better health.